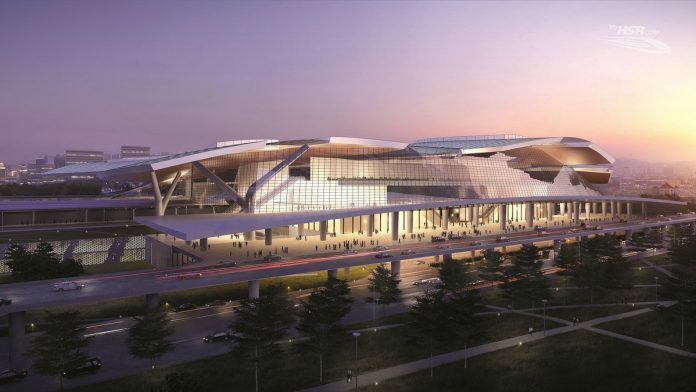 An artist's impression of Iskandar Puteri, one of seven stations on the high-speed line. Photo: MyHSR. Developer MyHSR has selected two consortia to assist with the Kuala Lumpur-Singapore high-speed railway’s (KL-SG HSR) civils works. The MRCB Gamuda consortium, comprised of construction firm Malaysian Resources Corp and engineering company Gamuda Berhad, has been chosen for the northern portion of the alignment. Meanwhile, the YTL-THP consortium, made up of construction company Syarikat Pembenaan Yeoh Tiong Lay and TH Properties, has been selected to design and deliver civil works on the southern portion of the line. Selecting the two consortia follows the completion of MyHSR’s project delivery partner (PDP) tender, which covers planning, construction, testing, and commissioning. Contracts will be awarded once negotiations between parties have concluded. 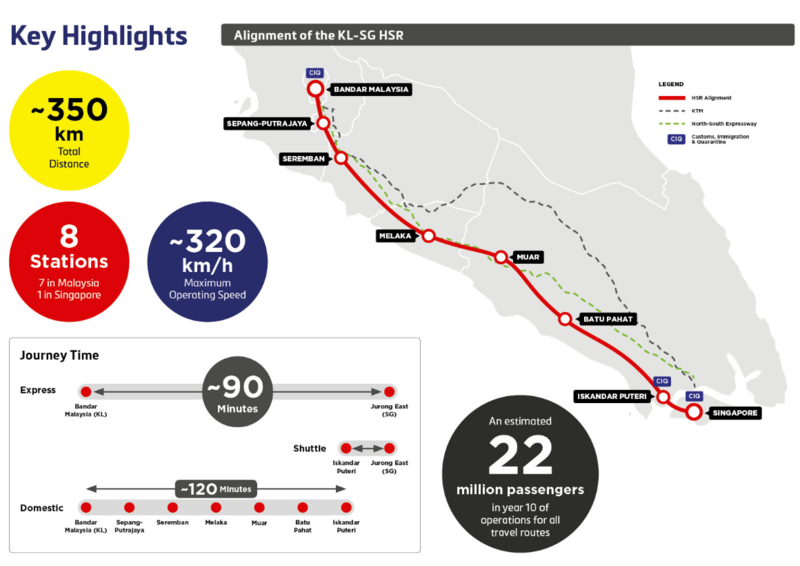 MyHSR is in charge of delivering the high-speed line’s section in Malaysia. SG HSR, a wholly-owned subsidiary of the Land Transport Authority of Singapore, will build the stretch in Singapore.